As a society, we have made significant strides to stop animal cruelty. Treating pets humanely, adopting animals from shelters, not experimenting health and beauty products on animals, and protecting endangered species, are all examples of how animal welfare practices have become integrated into our society. I had the opportunity to meet with two women who founded Freedom Farm, the first farm animal sanctuary in Israel. Reducing one’s meat and dairy consumption and opting for a plant-based diet continues to grow. Israel has the highest number of vegans per capita in the world. Countless restaurants and homes are now “Meatless Monday.” Reducetarian, the Humane Society of the US, and Jewish Vegetarians of North America, also offer great information about animal welfare and easy vegetarian recipes. It’s not acceptable or normal for 10 billion animals to be slaughtered in the US annually, to raise animals for food on industrial farms where they are packed into feedlots (98% of kosher meat, according to Jewish Vegetarians of North America is raised on industrial farms), for animals to live their lives doing tricks in a circus ring, to kill elephants to make trinkets from their ivory tusks, or for wild animals to be confined to zoos, aquariums and marine parks. There is still much we can each do to provide for humans while also living compassionately and acting righteously towards all animals. The dish that I prepared this week is symbolic of the hen’s nest, filled with eggs. 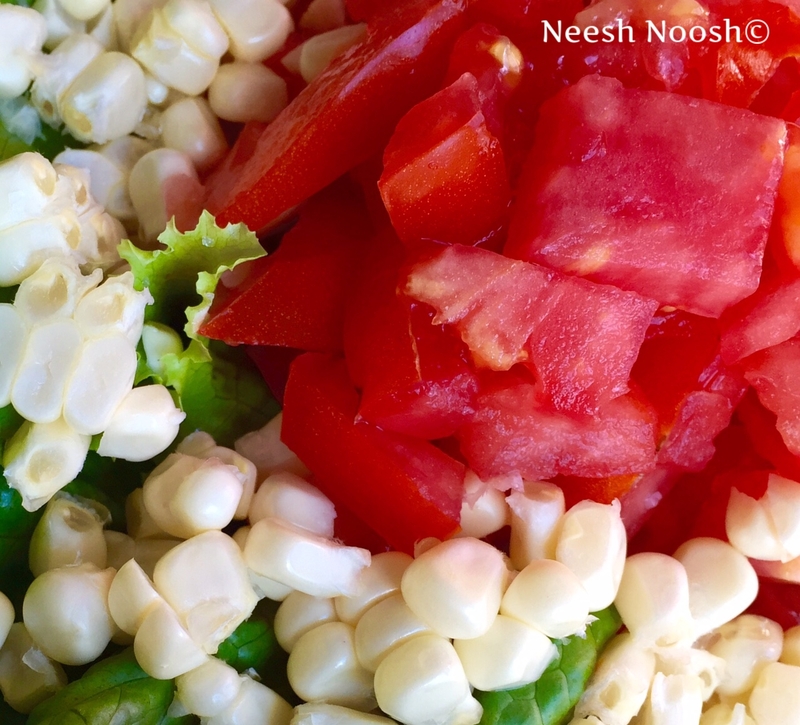 Delicious tomatoes and corn are still in season. This incredibly simple recipe is an opportunity to savor the fresh, sweet taste of summer. 1. Wash and trim ends off of lettuce. Arrange the lettuce on plates in a circle, like a nest. 2. 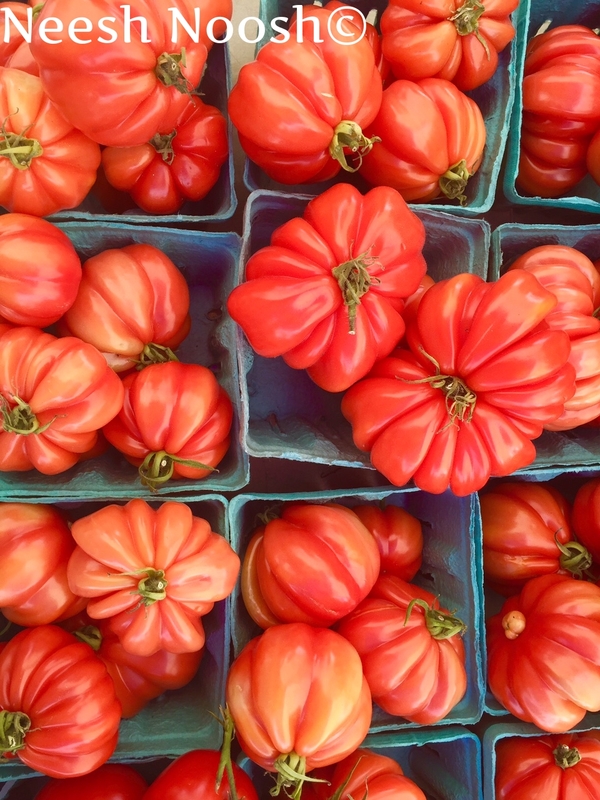 Wash tomatoes and remove corn husks. 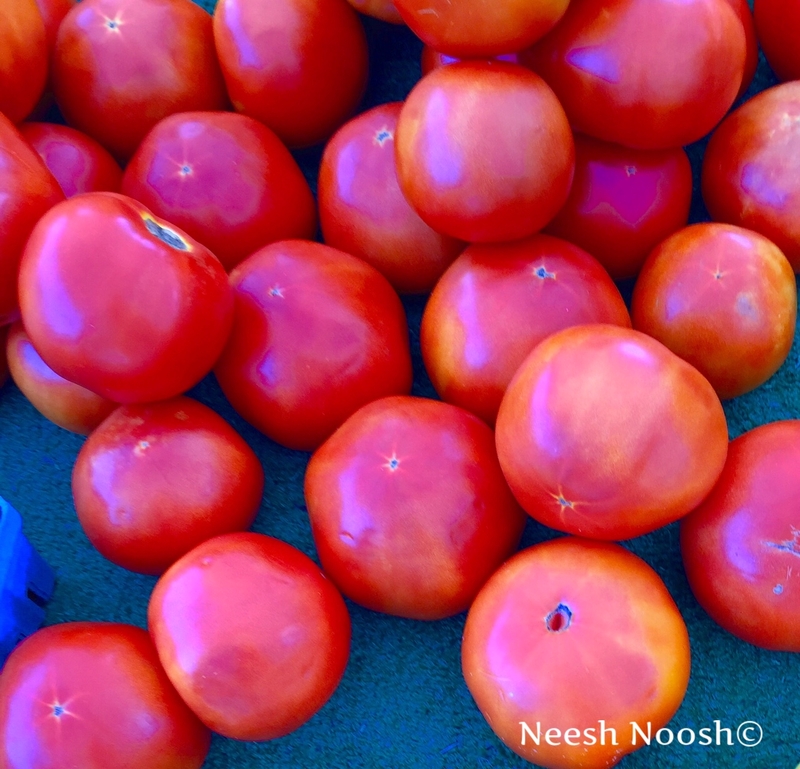 Chop tomatoes finely. Slice corn off of cob (raw corn is delicious!). 3. 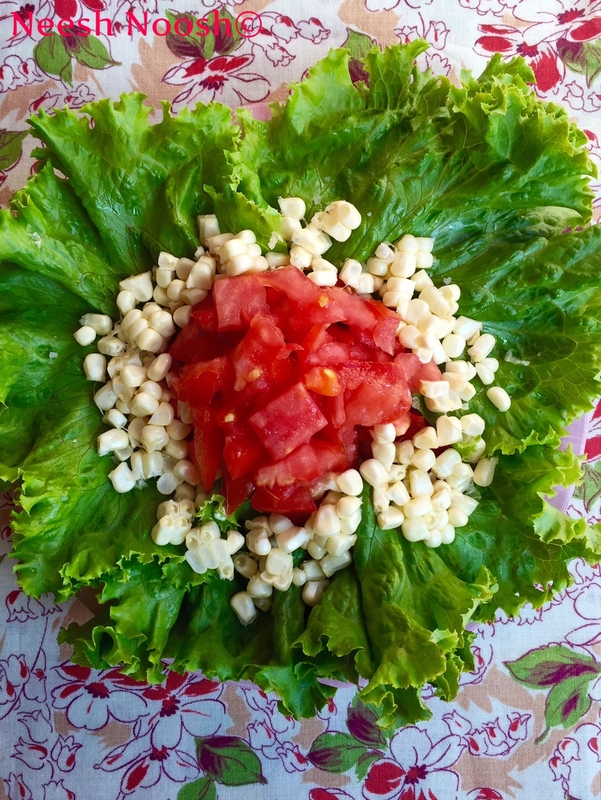 Place a handful of tomatoes and corn in the middle of the plates, on top of the lettuce. Drizzle with olive oil and a pinch of salt and pepper to taste. This entry was posted in Parsha, Side dish, vegetable and tagged animal cruelty, cooking, food, Ki Teitzei, kosher, organic, recipe, Shabbat, Torah, tzaar baalei chayim, vegan by Sarah Newman. Bookmark the permalink. Yes, Judaism has very powerful teachings about compassion to animals, but as Sarah Newman points out, there is much mistreatment of animals today, especially on factory farms where animals are raised to produce meat, milk, and eggs. What makes the cruel treatment even more shameful is that animal-based diets contribute substantially to many killer diseases and to climate change and other environmental threats to humanity. Thank youfor your comments about the impacts people’s health and the environment.